The All Africa Music Awards (AFRIMA) unveiled its calendar of events for the 5th edition in Ghana on Monday, May 21, 2018. The unveiling was done by the African Union (AU) following a meeting and courtesy visit to the President of Ghana, Nana Addo Dankwa Akufo-Addo. Welcoming the visiting delegation led by the Head of Culture, African Union Commission, Angela Martins, at the Presidential Office, Jubilee House, Accra, Akufo-Addo, lauded the initiative of AFRIMA in conceiving a platform that showcases Africa positively to the world through the creativity of music talents and the distinctive African cultural heritage. “The people of Ghana are proud to host the 2018 AFRIMA World Media Calendar Unveiling event and to receive the delegation of officials of AU and AFRIMA as well the talented artistes and the media. I’m excited to hear AFRIMA is engaging the rest of the world on an intellectual platform with conferences and the music awards. We hope you have had a remarkable experience of Ghanaian hospitality. Our hope is that we will host the main awards ceremony”, the President stated. 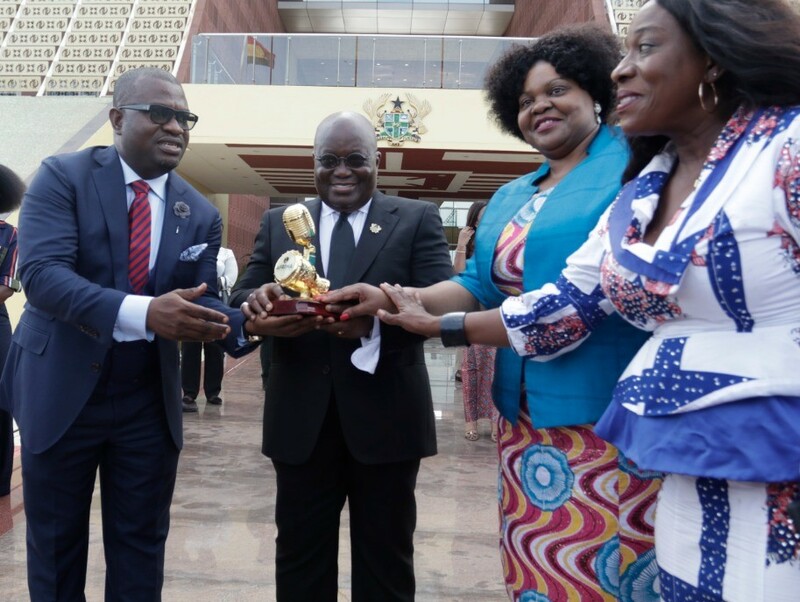 Other officials of the government of Ghana who received the AU-AFRIMA delegation included the Honourable Minister of Tourism, Arts and Culture, Hon. Catherine Abelema Afeku; Executive Secretary to the President, Nana Asante Bediatuo; Principal Personal Assistant to the President, Saratu Atta: Chief Director, Ministry of Tourism, Arts & Culture, Dr. Joel Sonne; Director, Tourism Council, Ghana, Chief Nana Anim and celebrated Ghanaian music artistes such as veteran Nana Kwame Ampadu who joined artistes from other African countries for the courtesy visit. 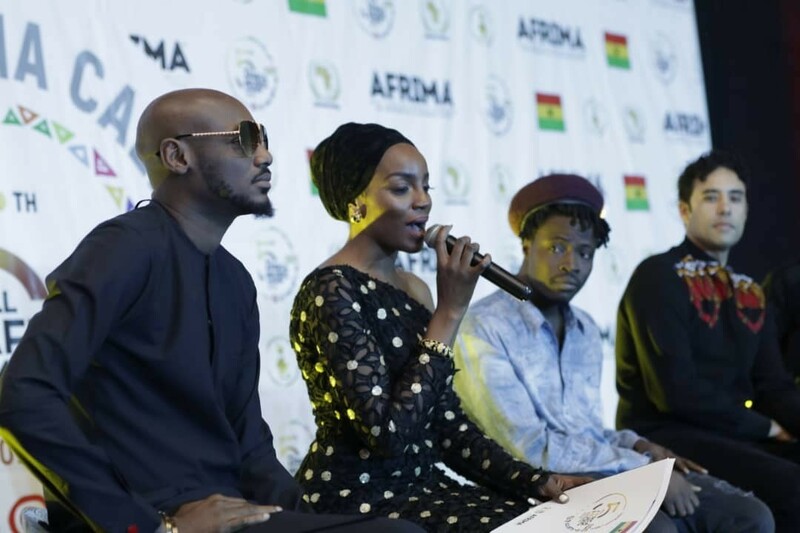 The Calendar Unveiling of the 5th AFRIMA took place later in the day at the Movenpick Ambassador Hotel in Accra where the theme of the awards “Africa is Music” was also revealed to the large gathering of African and international media. 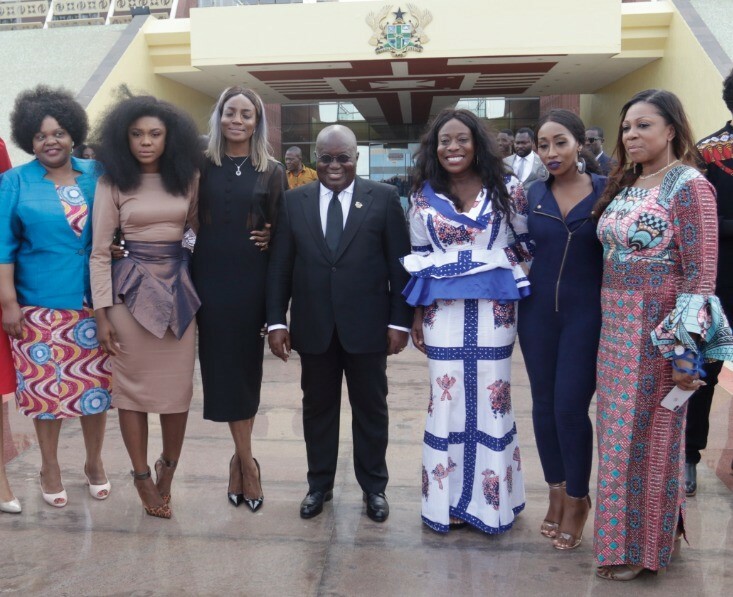 The ceremony, well-attended by record label owners, culture industry practitioners and music artistes such as Sarkodie (Ghana); 2Baba (Nigeria); Victoria Kimani (Kenya); Becca (Ghana); Ahmed Soultan (Morocco); Stanley Enow (Cameroon); Seyi Shay (Nigeria); Emtee (South Africa); Falz (Nigeria); Fancy Gaddam (Ghana); Stanley Adjetey (Ghana); Dark Suburb (Ghana); Zeynab (Republic of Benin) and Jah Phinga (Ghana), among others, featured a two-part interactive discussion session on the theme “Enhancing Music Business in Africa”.